and here is one of them! 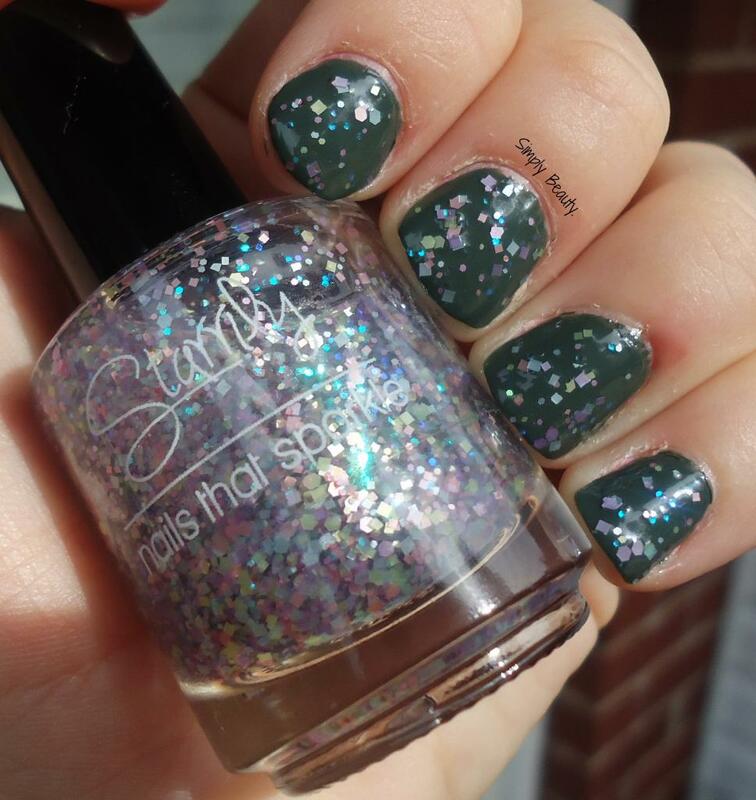 This is one coat of 'Unicorn Chronicles' over 2 coats of Sinful Colors' 'In the Mist'. 'Unicorn Chronicles' is a clear base topcoat with differently sized pastel & iridescent glitter. Formula: Awesome! 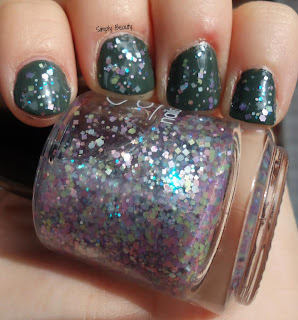 Glitters like this can tend to be clumpy, but not this polish! Application: Great! I didn't have to pick out any glitters at all. They came out like this in one stroke. How often does that happen?! I was uber, uber pleased with this polish. The formula and application were divine, especially for glitters. I'll try to have it paired with others up soon. 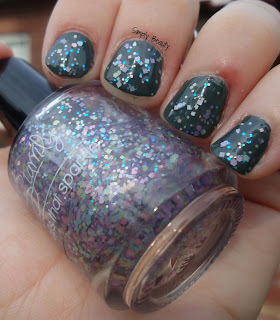 Definitely check this indie maker out- some great neon glitters out right now, also!